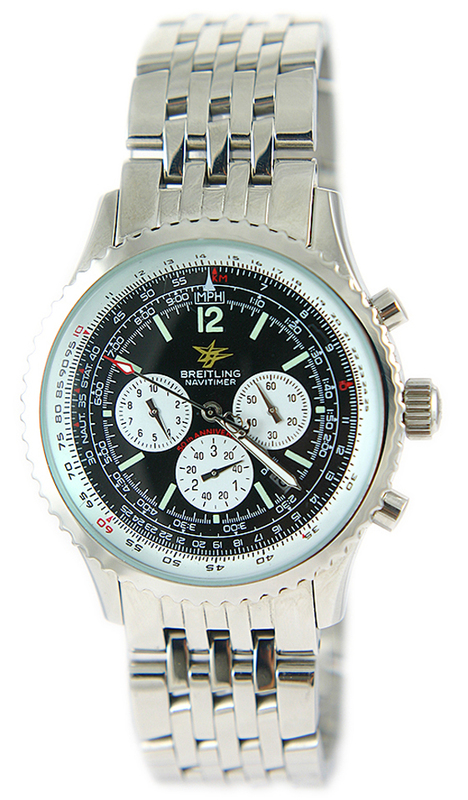 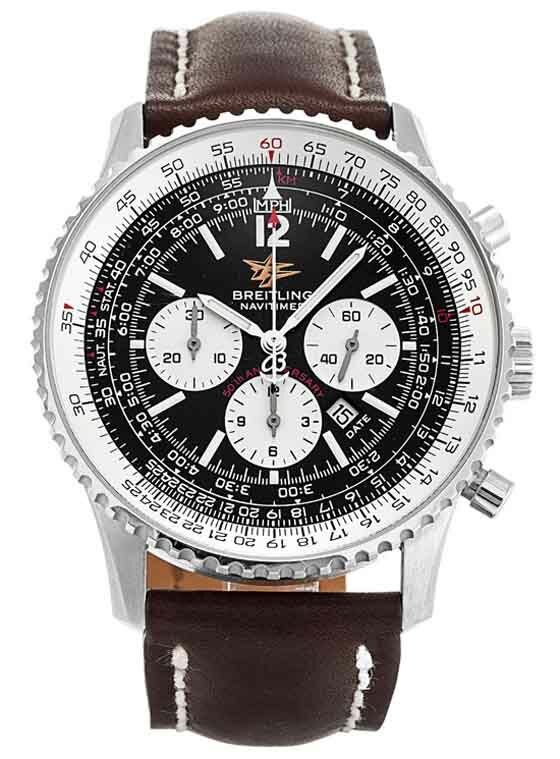 The first Breitling Navitimer was introduced in 1952 and its success was unparalleled. 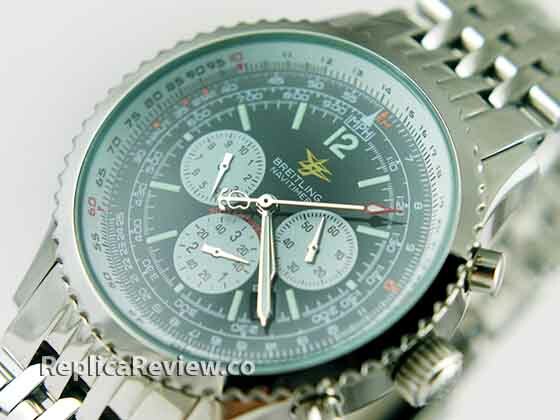 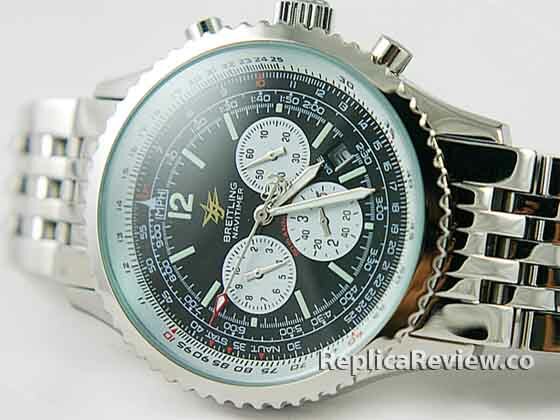 The model was selected as the official watch of the Aircraft Owners and Pilots Association (AOPA). 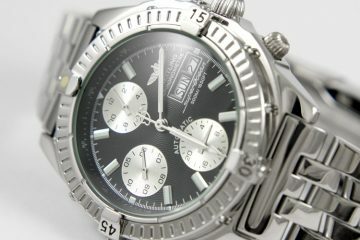 This special decoration is also the reason why the B winged logo is found on almost every Navitimer dial. 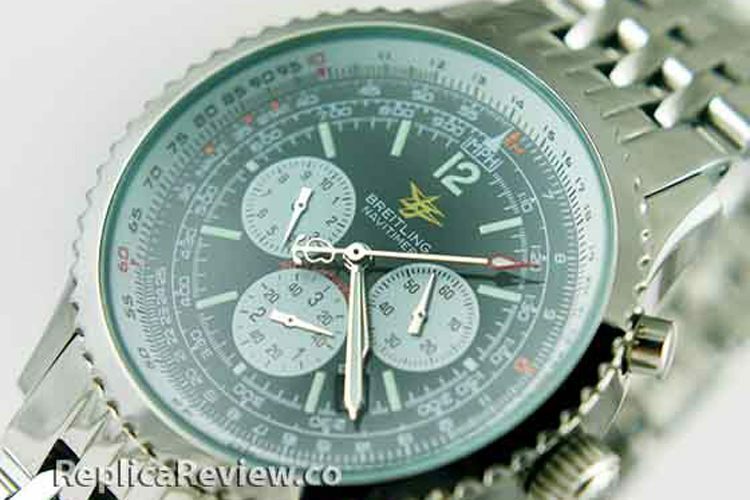 It is a symbol for the amazing collaboration between pilots and Breitling. 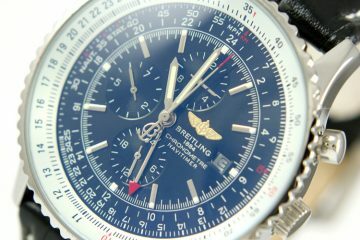 The 50th Anniversary Breitling Navitimer comes with a black dial, three white subdials and a date window that is located between 4 and 5 o’clock. 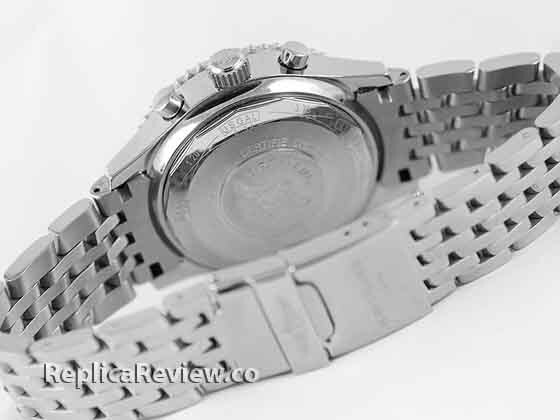 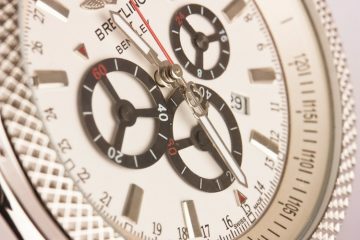 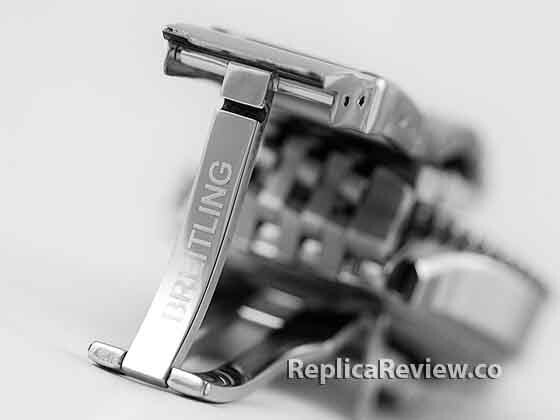 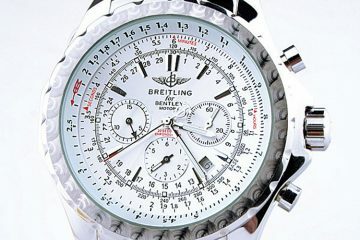 The face of the watch is a little bit crowded as on all types of Breitling watches, but its core quality is also present- it has an intriguingly superior legibility. 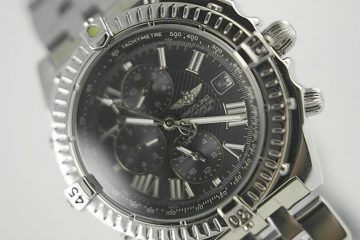 Now, regarding our replica watch this doesn’t have such a poorly cloned dial, but there are small differences that give it away and these are: the 50th anniversary logo which is in a different shade of gold, smaller and more spaced apart from the 12 o’clock hour marker, the date aperture that says “DATE” above it when it should have this word printed below it, the seconds hand has a different type of arrow tip, and the 3 small dials that with incorrect markings.